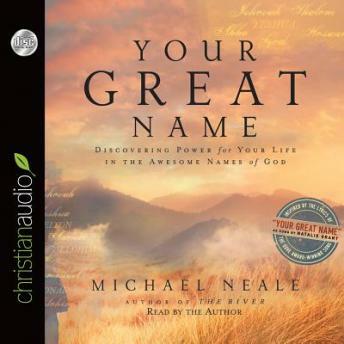 Based on “Your Great Name,” the powerful and popular song written by Michael Neale, this book explores what God is like, name by name. The lyrics from the song make each name of God come alive: Using each line of the song and the name it represents, Your Great Name illustrates to modern-day readers how God has revealed Himself. Corresponding quotes and verses add harmony to the inspiring lyrics, and personal stories from Michael’s life give an everyday context for the meaning of God’s names. Readers will be encouraged by all the ways God is present in their lives today—as their protector, provider, peace, shelter, salvation, shepherd, strength, and much more. As they see the ultimate power and depth revealed in the names of God, they will savor the significance of His great name.